Stair Drawer KIT 4 U. 'B' Extension TS 4 allows you to enlarge the mezzanine on the same direction as secondary beams; indeed, you needn’t dismantle the whole mezzanine. You can get up to 8m² of mezzanine. This kit contains 2 double height-adjustable columns, a lightweight frame with adjustable length and width. (extensible to 4m²) with the same characteristicas as TS 4 structure and structural wooden board to cover the surface. What does the kit include? 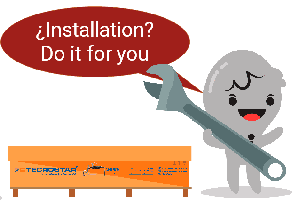 Tecrostar mezzanines and stairs are supplied with everything you need to install the kit at its maximum surface area or height. Can I add an extension in the future? Yes, you can add an extension to an existing mezzanine. You do not need to buy both structures at the same time. Can an extension be installed to a mezzanine from a different range? No, the extension cannot be integrated and share columns. However, structures can be placed side by side and achieve continuity of the floor but you will not save any columns and there will be two columns together at the joints. 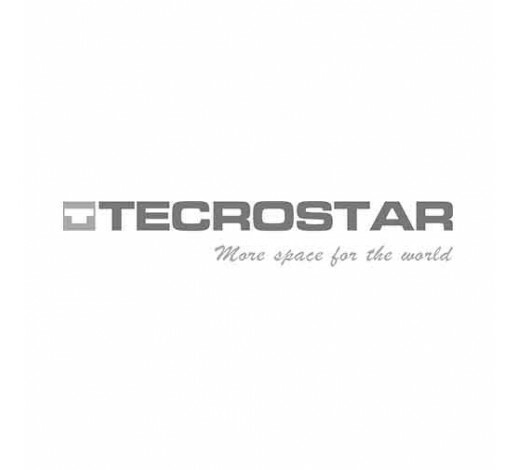 Tecrostar products are manufactured with the most suitable materials for the proposed technical solutions, combining wood, steel and top quality aluminium. The steels used for beams, columns and other components are fit for structural uses with a high yield strength (S235, S275 or S3555, as required). The pieces are manufactured using maximum precision laser cutting, folding and pressing processes. Next a powder coating is applied and they are baked in the oven, offering maximum adhesion and an outstanding finish. The wood panels used for the mezzanine flooring can be made of European radiata pine plywood or high density structural chipboard. All the boards are tongue and groove on all four sides to prevent faults and unevenness at the joints of the modules. Other wooden components, such as the steps and parts of the handrails, are made from top quality beech. TECRO has earned certification from the AEM, the federation of Spanish materials handling. We have also received a Gold Medal Award of Merit from the INPEX (Invention and New Product Exposition), the top award for innovation at the largest Invention Exposition in the USA.